Take responsibility — don’t be a contributor! My days usually begin with a long walk in the park with my dog. Even when the weather is not perfect, it is a close-to-perfect way to watch assorted dogs play, hear the birds announcing their presence and generally enjoy the sense of peace at being close to the greenery all around me. That is, until the grass is tainted with empty paper cups, plastic water bottles, beer and soda cans, candy-bar wrappers and discarded styrofoam containers. While the garbage is frequently left wherever some lazy individual had eaten lunch or downed their drink, it is just as often left in a pattern near a litter bin. Apparently, it was too much trouble or too difficult to drop the remnants of their snack into the bin. Instead, a token toss in the right direction salved the consciences of the litter bugs, if they thought about what they were doing at all. Like the mobile litterers who toss their unwanted paper, plastic and metal containers and cigarette packages out of their car windows as they drive by, their focus is on removing the mess from the immediate vicinity. In their entirely selfish view of the world, they are unconcerned about any effects that their careless disregard could have on others. They certainly don’t think about the ducks or other large birds that might choke on the plastic surrounds of six-packs of beer or soda if their necks are caught in one of the potentially deadly circles of plastic. It would never cross their minds that a skunk or raccoon might get its nose trapped in an open can or that a dog might cut a paw on a broken bottle. In any case, they reason, if they reason, they are just disposing of one or two small items. They are not making a big mess. That particular style of thinking takes me back more than 40 years. This was the time when my then pre-school children and I watched Sesame Street regularly. One episode still sticks with me. It began with a view of the litter-covered neighbourhood square. All the inhabitants professed shock and all denied that they were responsible. Then the camera reversed the action. As all the people and puppets went their separate ways through the square, they picked up the piece of garbage that they had thrown down. Behold, when they had all returned home, the square was pristine. The lesson was clear. No single person was responsible for all the garbage in Sesame Street Square. But, everyone contributed to the mess. So, take responsibility and do not be a contributor. A simple rule to follow at any time. Just the other day, I saw two workmen busily attacking the concrete surface of the sidewalk. A paper coffee cup lay on the ground beside their truck. By the time my dog and I came back, the truck and the workers were on the other side of the street. The first coffee cup was still there and now a second one was on the grass near the truck’s new parking place. As I passed, I asked one of the workmen if the cup was his. He shook his head but picked it up and tossed it into the back of the truck. I then suggested he should fetch the first cup to complete the tidying up. Had he and his partner thrown the cups away in the first place? I think so, but couldn’t be sure. I was just happy at his response and glad to see one small step forward in the war on litter. Keeping our green spaces green and our roadsides clear depends on everyone disposing of their empty containers and other waste in the proper places. Drivers can surely keep a small garbage container in their vehicles for later removal. 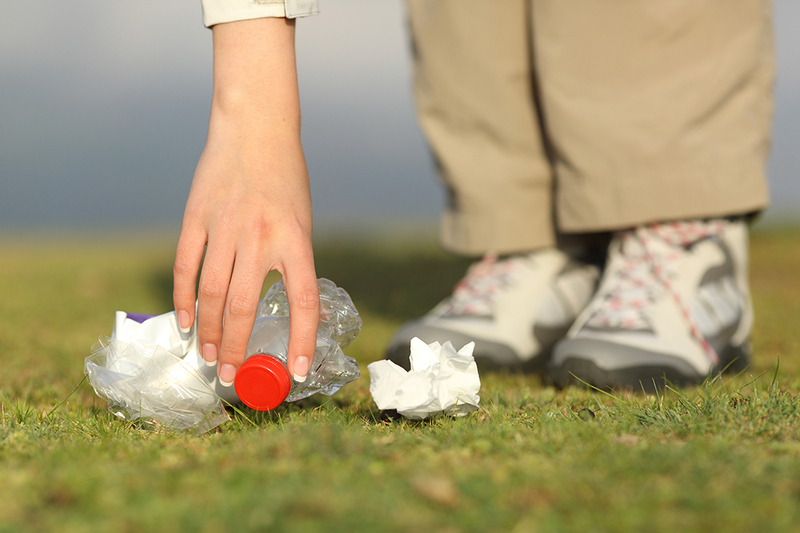 Walkers can surely carry that little bit of garbage over to the nearest bin, rather than just letting it fall where it may or throwing it in the general direction of a litter bin. Littering is an offence that carries substantial fines. However, offenders must be caught to be punished. And for all the talk about environmental concerns and such initiatives as charging for plastic bags and refraining from using plastic straws to protect the environment, it is empty talk for the many still throwing their rubbish into other people’s way and making their enjoyment of the countryside a little less enjoyable because of their selfishness.